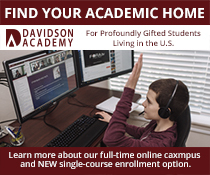 I am interested in starting a discussion about problems facing "gifted" adults. My reading has led me to believe that I may belong to that category and it would be helpful to discusss some of the challenges that this "group" has to deal with on a day-to-day basis. Please respond if anyone is interested. Thanks. Have you found this page of resources? Thanks for sharing that essay, Grinity. I hadn't run across that one yet, and it captures the emotions of being a gifted adult and a gufted parent quite well. Hi Schaps, and All here. I am an elder woman who in January 2011 learned I am a Gifted Adult. I learned this about myself from a Mental Health Therapist, who is gifted herself. I accidently found her. I intially chose to see her because I had decided that problems with my parents were due to their having narcissism. I needed help with understanding how to cope with them better. One of her specialities is narcissism. Her help helped. It happened that in addition to her speciality of narcissism, her speciality was and is also in Giftedness. Her name is Lisa Erickson, of Seattle, Washington. You may Google her name, and read one of her webpages that decribes Giftedness. I still visit her now and then. Her tune-ups help me alleviate the natural build~ups of muscle tightening feelings. The tensions are caused by my feelings that include being frustrated over being misunderstood, isolated, impatient, stuck, trapped, and more regular run-of-the-mill feelings of being a unique and rare Gifted Adult. About your request to discuss challenges for gifted adults: one of the life-changing challenges for gifted people is finding a therapist nearby that understands what it means to be Gifted, and who is highly skilled at this. Everyday daily challenges that I run into include finding and interacting with people who I can "let it rip" and be intense with. I crave and completely enjoy being with people with a great sense of humor, and who can welcome even talking about the mystery of death, the afterlife and spiritual enlightenment. Most people, to me, are over the top way too too serious, and too too too focused on Just Getting By. Most do not even look up or around to see the Big Picture of why we are here ~ which is to love and be loved. How do I cope with feeling like I have duct tape tightly shutting my mouth and clinching my heart? I look for and find others I can have spirited (pun intended) discussions with -- like those who may be found here online, or in the presence of therapist Lisa Erickson. I can even "let it rip" a bit and be intense with my daughter and my grandchildren - who are gifted & intense in their own unique ways too. I welcome discussing the daily challenges of being a Gifted Adult for awhile here. I would love to have a gifted adult thread. Are you dissatisfied with this particular thread? After about 4th grade my schooling was a disaster; I had tons of issues and was considered an underachiever, so I never really considered myself smart. I only allowed the idea that I was a gifted adult after struggling to grasp my first daughter's gifted issues. I was struck at how much she reminds me of myself at her age, even down to having a precious companion toy friend with her at all times. One problem I have suffered from my entire adult life is impatience in conversations, especially meetings. I agonize waiting for people to finish what they say because I catch on very early knowing what they're going to say. Group discussions are particularly difficult, where people seem to enjoy the creeping pace of approaching an insight or conclusion that was obvious to me long ago. This feeling has never made me feel smarter. Until recently it never occurred to me that other people were not doing this inside too. I just figured that most of the world enjoys blabbering on and sneaking up on their conclusions, and that I was somehow defective in that regard. I squirm and feel restless, falling back on my imagination to make the topic more interesting, usually by blurting out left-field analogies that others usually find humorous if not jolting. If I were a more articulate speaker in general I might thrive in these situations. This might be giftedness, or it could just be my ADHD. If I think back on it, I can recall having that same feeling in classrooms too. I recall a while back I was trying to install a lesson in DD by explaining why she was being disciplined. She squirmed in frustration and cried out, "I know what you're going to say." Pru, I find myself interrupting often for similar reasons. I work on that all the time, but sometimes I get impatient. I have few peers in the town where I live now and it gets tough - conversationally. For me, one of the hardest things about being a gifted adult is the frustration I feel when people make incredibly bad decisions for emotional reasons, rather than using facts to analyze a situation. Then, when the predictable happens, everyone wonders why and still, no one looks at the facts to try to find a solution. I'm not saying I haven't made bad decisions in my time. But when I have, it was usually because I wasn't thinking about things. Oh, this should be a really fascinating thread. It will be really interesting to see how our experiences are similar and different. For me, I think the worst part of being a gifted adult is that my education as a kid did not ever truly challenge me, so I did not really learn that work ethic that we have talked about instilling in our kids. Watching my son deal with his perfectionism really made me start thinking about my own. School never challenged me at all until I had to write my master's thesis and dissertation in grad school and then massive writer's block set in. It wasn't coming up with the ideas that was hard, but the persistence needed to complete them was foreign to me. And the paralyzing perfectionism didn't help either. I did finally finish, but it took much longer than it should have and that is why I am so adamant that my kids receive challenging educations and learn that persistence at a young age. And related to previous posts, I too have the experience of waiting around for people to get to an obvious point or having people explain something ad nauseum. This does not bother me so much now since I have perfected the ability to look like I'm listening while really thinking of something completely different! There's much more I could write, but I'll stop for now. Generated in 1.040 seconds in which 0.005 seconds were spent on a total of 15 queries. Zlib compression enabled.